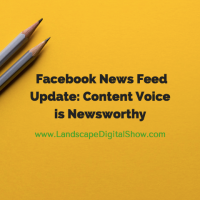 Episode 87 of Landscape Digital Show reveals the recent Facebook News Feed updates and why content with a voice is Facebook newsworthy. As he has done many times before, Facebook CEO Mark Zuckerberg dropped a bombshell on the Facebook community that sparked exactly what Facebook wants from it’s 2+ billion active users – more meaningful conversations on topics that matter to them. Like every other Facebook update more has gone unsaid than said, and that is probably by design. 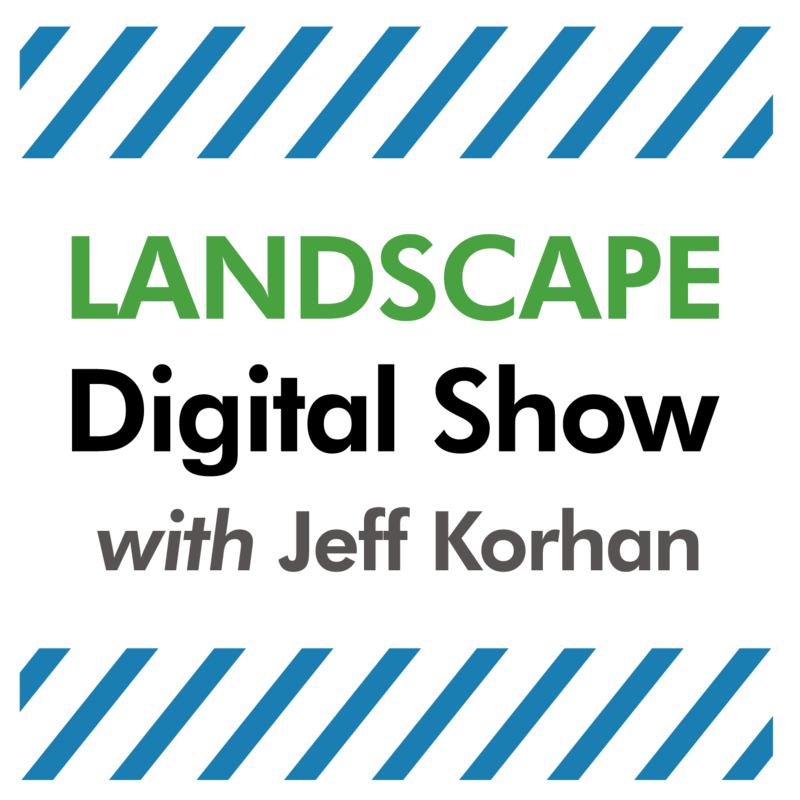 I agree with Mark Schaefer that Facebook may not be sure about how these changes will play out. But it’s our job as marketers to figure them out. #1. This is a major refresh. Facebook wants to steady the Facebook brand by addressing the top user concerns, such as seeing too many ads in our newsfeed and not seeing more from our family and friends. #2. Person to person interactions will be prioritized. You will see fewer page posts in your feed, but it’s not clear if that means fewer ads too. #3. Posts that earn lots of meaningful comments will be moved up in the newsfeed. Longer, more thoughtful replies to posts will give content an even greater boost. #5. Engagement-bait content will be demoted. This includes click-bait, vote-bait, and comment-bait. You will have to earn engagement by being an authentic and original voice. In interviews following the first announcement, Facebook acknowledged the challenges it faces, including fake news, accountability to shareholders, and apparently, it’s role in society for contributing to a greater good. This is great news for Facebook users, but how about Facebook marketers? In a massively popular Facebook live video, Michael Stelzner, CEO of Social Media Examiner calls this statement from Adam Mosseri, Facebook’s Head of News Feed the money shot. This is the heart of the uproar from businesses that have pumped millions of dollars into Facebook ads to target Facebook users. Less publisher and business content clean up our personal news feeds, but since most of us use Facebook to build our business or personal brands, we may have to reconsider our priorities. It’s possible Facebook pages are dead for most of us, but weren’t they already? Research indicates Facebook organic reach (the people you reach for free) has declined from 26% in 2011 to close to 1% today. This Facebook update may be the wake-up call small businesses needed. What are Facebook marketers planning to do about this? My informal survey from Facebook comments indicates the following. #1. Run more ads. Facebook has not been clear about how ads will be affected, so many are planning to move ahead with business as usual. #2. Reallocate resources to LinkedIn, YouTube, Instagram, and other channels. All of these social platforms can and will continue to change. It makes sense to spread out resources to unlock new opportunities and minimize risk. The one strategy I’ve yet to notice is completely giving up on Facebook. Most of us have too much invested in it to walk away. The smart money is either planning to adapt now or taking a wait and see approach. Now that the impact of the Facebook announcement has been absorbed, the conversation has shifted to what’s next. You are the news when you make status updates that give honest, authentic, and original perspectives about what you see, feel, think and do in your day-to-day activities. This is what Facebook wants from users, more engaging content that keeps people on Facebook. Give them what they want to get what you want. Documenting activities and observations is a valid social media marketing strategy, especially with Facebook, but the people that do it well make it look easy because they have unique voices that engage (and sometimes repel) people. You too have to find your content unique voice that adds value to the news you share. Think of your content voice to be your communication style. Does your style say you are light-hearted or all business? You certainly want to be perceived to be a business authority, but never underestimate likability when it comes to engaging people with a message. Communicating with an authentic voice may feel like a performance because it is. It’s learning to leave the baggage behind to only put the best you’ve got out there. Clean, authentic, and relatable communication is a practice. Now is the time to make that commitment. Take the time to check out the links in this show to thoroughly understand these recent Facebook News Feed updates. Now fix your Facebook marketing strategy. To do nothing in the face of these changes is guaranteed to lose whatever Facebook audience you now have. 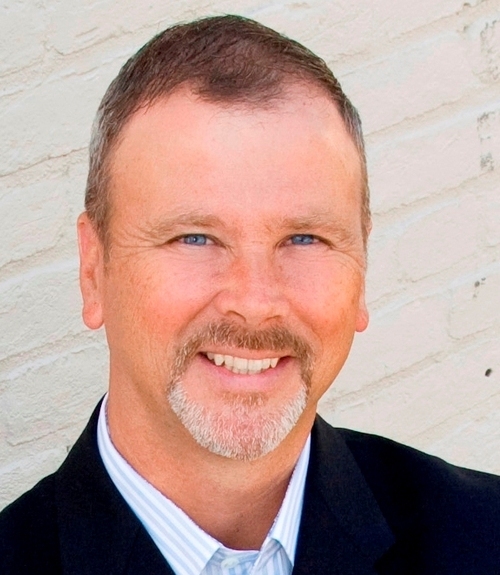 And be sure to check out this article for tactics for finding your marketing voice.